South Sumatra is one of the provinces in Indonesia, located in the southern part of Sumatra Island. The province with its capital Palembang. Geographically has a layout that is bordered by several others, such as Jambi provinces in the north, the province of Lampung in the south, the province of Kep. Bangka Belitung in the east, and the province of Bengkulu on the west. South Sumatra also has some excellent tourist attractions and includes some of the favorite tourist in Indonesia. Local and foreign tourists who are always crowded city of Palembang padas annually just want to enjoy the tourist attractions of this. Here is a list of tourist attractions in South Sumatra serng visit. Musi river which is one of the longest river in Indonesia. The life of the surrounding community is reflected in the river Musi. Musi river stretches above the Ampera Bridge that is so in the know. At one edge of the river, there is a Kuto Besak which is one of the historical sights. If mnyusuri Musi river, feels less if it does not stop Kemaro Island, which is the delta of the river Musi. The island has a legendary history and a story. Limas house is a typical traditional house in South Sumatra with architecturally shaped stage and made of wood, usually called pyramid house because the roof has a shape in the form of a pyramid. The building is terraced and has a philosophy of its own culture on every level, people refer to these levels as bengkilas. Limas house is so vast and often in use for a celebration or custom events. Limas house area of ​​400 to 1000 square meters. Material some material floor, walls, and doors using wood materials tembesu. 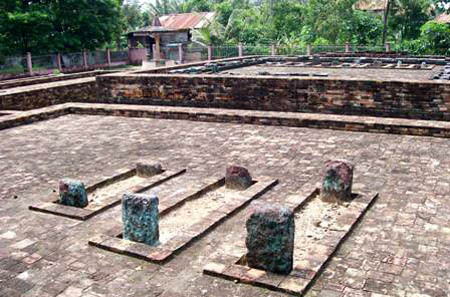 Ki Gede Ing Suro tomb is located in the Village 1 ilir. There are 8 pieces of the building contains 38 graves and tombs include Ki Gede Ing Suro, the forerunner to Palembang kings. In the 16th century in history there is a Javanese nobleman named Sido Ing Ocean come in Palembang invite followers. and he was replaced by his son Ki Gede Ing Suro in 1552 and founded a kingdom of Palembang. Punti Kayu forest is located approximately 7 km from the city center and designated as protected areas since 1998, and is managed by the Forestry Agency of South Sumatra Province. Travel forest with an area of ​​50 also include a family recreation area as well as being a residential local monkeys. This place is perfect for those who want to refresh the mind on the weekend. Here the children can also play up the elephants, see the mini zoo, bathing in the pool, or just sit back and relax amongst the pine trees. Even more exciting, often held entertainment enlivened by local artists and outside the city. Palembang Grand Mosque is located in Jalan K.H. 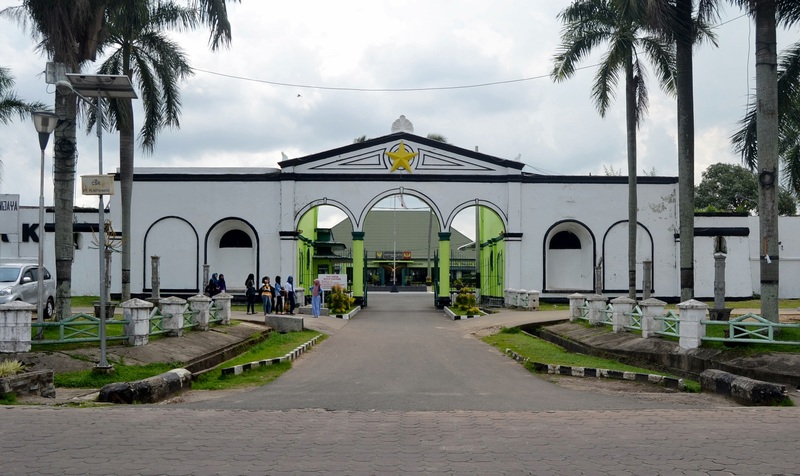 Faqih Usman, has a very large size up to 5,520 square meters in building mosques course, is very large stately and often become icons as well as tourist attractions in the city of Palembang. Similarly, the grand mosque in several other cities in Indonesia in general, this mosque was built in the reign of Mahmud Badaruddin Sultah I of the year 1738 - 1748 and undergo extensive renovations 6 initially only 1,080 square meter to 5,520 square meters. The architecture of this mosque on the dome-style Chinese, European style on the other elements. In fact there are some materials that are imported directly from Europe. 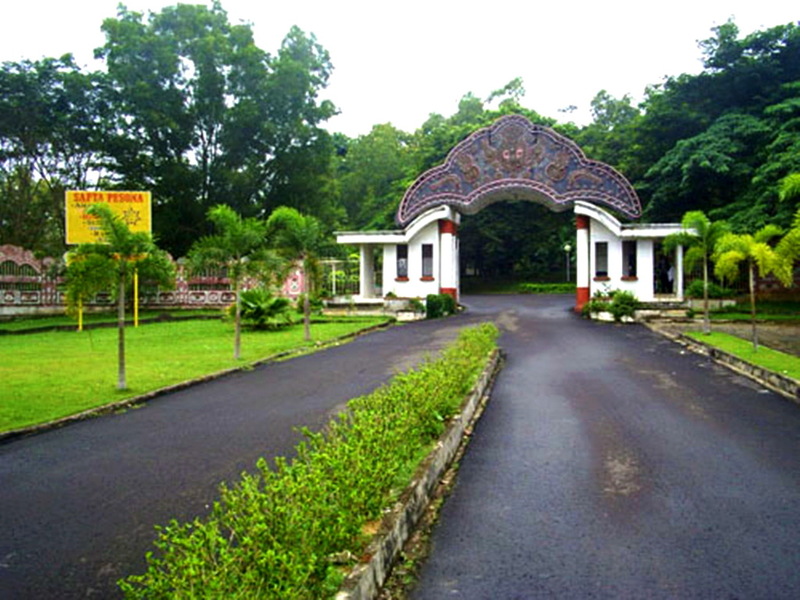 Sriwijaya Zoo is one of the recreational areas and other area residents Palembang in South Sumatra. 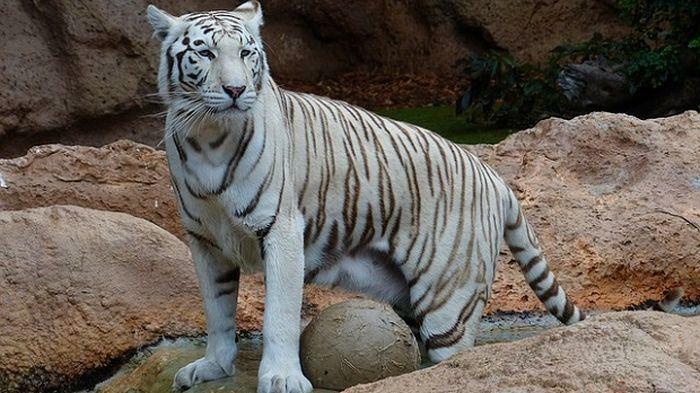 In the midst of the limited number of family attractions in the province, in fact this zoo could be an interesting option for traveling families because the location is not too far from the city center. Manna River Rafting is a tourist place which offers rafting challenge with varying levels of difficulty. 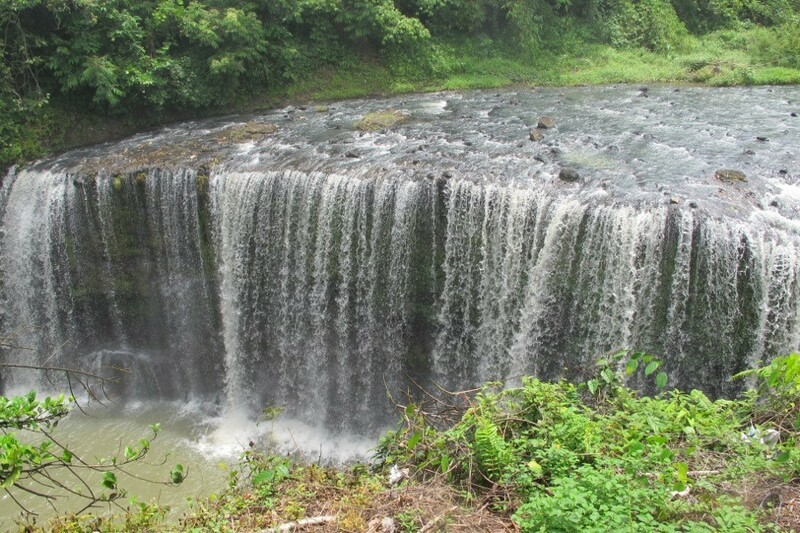 River Tanjungsakti manna located in the district, about 40 km from the city Pagaralam. The river is quite wide at the beginning, while the next 15 Km narrow river path, the current was also quite heavy and thunderous, so it is quite challenging for those who are fond of this sport. Path rafting river with rock walls so padas on riverbanks, plus current form and also current rotating basin. From right and left visible cliffs offering views of the natural tropical rain forest. Ranau Lake tourist quite interesting to visit, because the area is still beautiful and far from pollution. 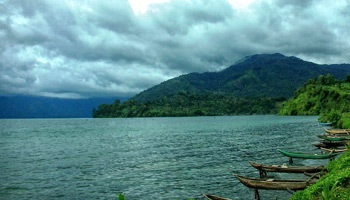 Tourism Ranau lake located in Lombok village, district. Sukau, Kab. West Lampung. This lake was inaugurated in 2007 by Regent Lam-bar, which is equipped with standard 3-star hotel is fully equipped. perfect for your great family attractions. Mount Dempo is a mountain that has an altitude of up to 3.195 meters, and has a forest area Dipterokarp Montane Forest Hill and Forest Ericaceous or so-called mountain forest. 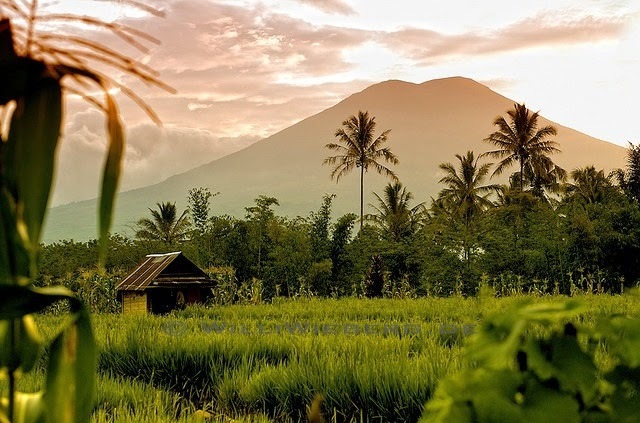 The volcano is located on the border of the province of South Sumatra and Bengkulu. To be able to reach the nearest village, you must first reach the city of Pagar Alam, approximately 7 hours drive from Palembang. Palembang available from many bus heading towards Pagar Alam, one bus Dharma Karya. Kuto Besak a royal heritage building which became one of the sights of Palembang, South Sumatra. Kuto Besak built in 1776-1803 AD during the reign of Sultan Muhammad Badaruddin. Age buildings have reached hundreds of years, so that makes this to be very interesting with a high historical value. The grandeur is still visible from the castle to the height reached 9.9 meters, length of 288.75 meters and 183.75 meters wide. Moreover, thickness reaches 1.99 meters. In every corner of the castle there are fortifications, one of which is in the northwest, has a size larger than the three other fortifications. Bumi Ayu Temple is a Hindu temple relics of the flow of the famous Shiva temples at the site of the temple. The results of excavations of archaeologists, the temple complex than Bumi Ayu is the largest Hindu temple outside of Java, of the invention also concluded that these temples are artificial Prambanan in Central Java. Places temple is located in the village of Brits, district. Tanah Abang, Muara Enim. Angel Falls could be on your destination you may be visiting the district. Lahat. Angel Falls has a uniqueness and beauty that will leave you amazed and do not get tired of enjoying this nature. Try traveled inland in South Sumatra, because here a lot of interesting things that you can meet. Then headed to Niagara Reef In, discussing the natural beauty of South Sumatra particular district. Lahat there will be no end. 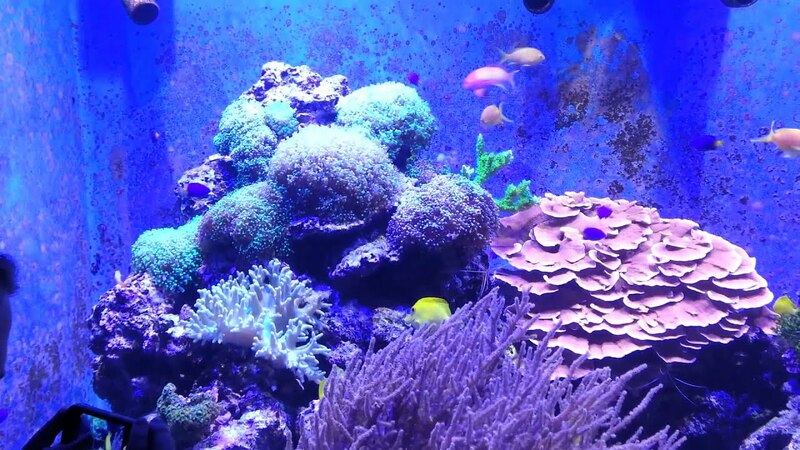 Unfortunately, the natural beauty of this less known to the public, so much the number of tourists who know how exotic natural charm of South Sumatra, one of which is Niagara Reef In.